IMD said that there will be dense to very dense fog in western UP, Haryana, Rajasthan and Uttarakhand for next 2 days. New Delhi: The departure of all flights from Delhi airport was on hold for one and a half hours on Friday and most arrivals were also affected due to bad weather, news agency ANI reported. According to ANI, flight schedule at the Indira Gandhi International Airport was affected from 5:30 am to 7 am, and one international flight has been diverted as of now. Ten trains to the national capital were also running late on Friday due to fog and low visibility. The Indira Gandhi International Airport is the busiest in the country and sees more than 70 flight movements per hour on an average. This includes both arrivals and departures. 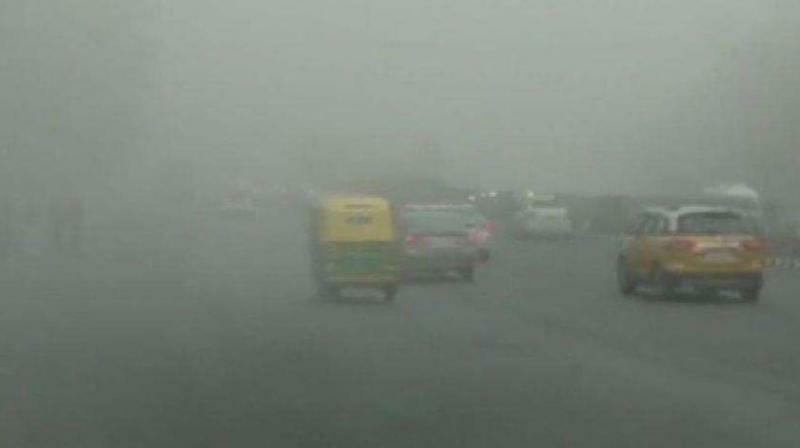 The Indian Meteorological Department has said that there will be dense to very dense fog at several places in western Uttar Pradesh, Haryana, Rajasthan and Uttarakhand for the next two days.